Equal prize money in a World Cup. If I’m honest I didn’t think I’d hear that in my career, but the reality is it’s less than a month away. I’ve spent a fair amount of my free time over the past four years campaigning to gain greater equality in cyclocross, and it turns out, some folks out there were paying attention. Although I sadly could not get these final steps included in the regulations, someone who recognized it was the right thing to do was finally able to make it happen. It’s not about money, it’s about respect. It’s not about total earnings, it’s about prize money. It’s not about the length of the race, it’s about opportunity. Trek, I salute you. I hope you’ve opened the door for others to follow you, as it’s simply the right thing to do. Equal prize money alone won’t be the quick fix solution for the sport, and the news of Amanda Miller skipping the 2017/18 season is certainly a sobering reminder that the sport has a long way to go. 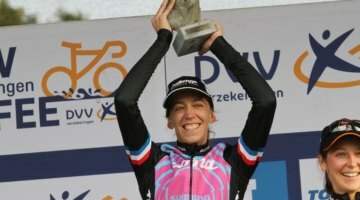 With 30-plus women’s races planned for live television in Belgium this season, we need to find a way to make that kind of coverage ensures greater global security for the sport. Instagram and Twitter are full of cyclocross videos showing riders making final preparations for the season, but what does that really mean? 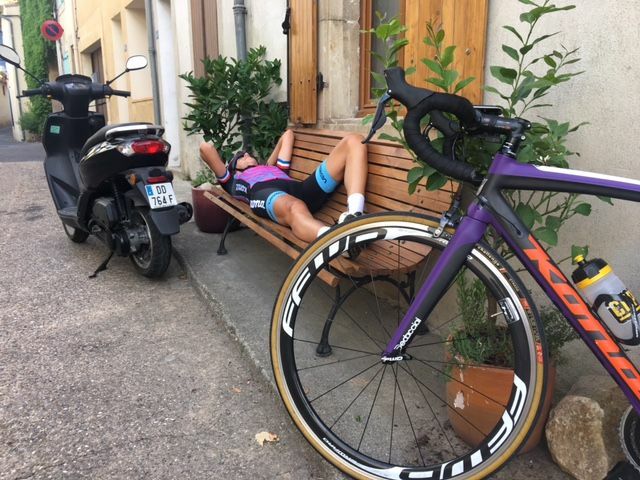 How do us pros go about getting ready for the racing season? I can only speak for myself, but September isn’t exactly my favorite month of ’cross. If I had it my way, ’cross would start in October and finish in March. The first few weeks of September, when the sun is out, the air feels like it is pumped out of a hairdryer and a short-sleeve skin suit feels like a full-on overdressed situation, well you can press fast forward as far as I’m concerned and take me straight to the scenes with bad weather and mud. 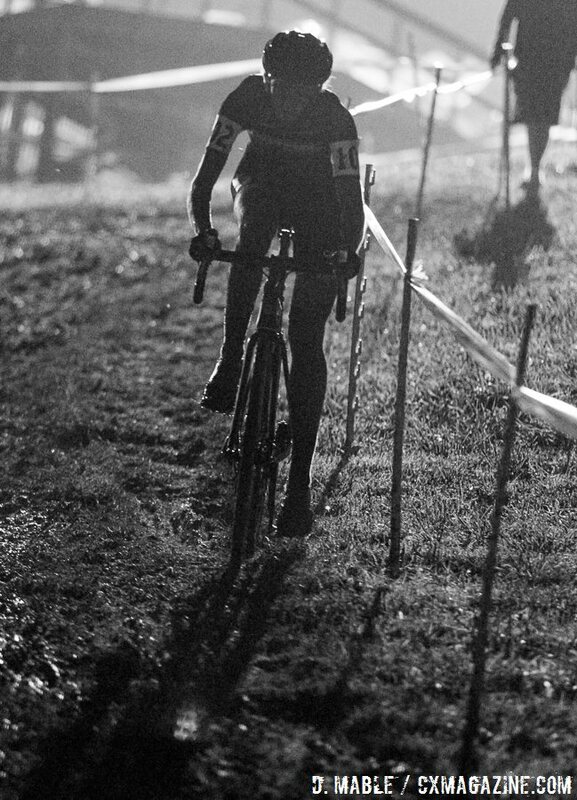 Since I am not a big September cyclocross person, my preparations are focused towards October and November. I hope to see some glimmers of good form then, giving me the confidence to keep my planned training in place as I build up to the ever-important month of January. This kind of approach isn’t right for everyone, especially with the World Cup season now starting so early. Again, I’d change that by moving Jingle Cross back to November. I know just how amazing that course is when you’re more likely to get ’cross weather. It’s one of the best courses on the world scene, maybe a top five I’d say, but for me, it was that November weather that gave it that final sprinkle of Jingle magic. 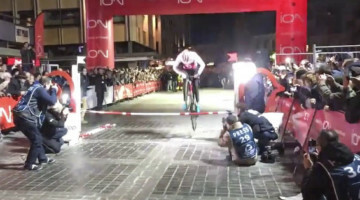 The way the international cyclocross calendar is set up now, there are seemingly no weekends off. 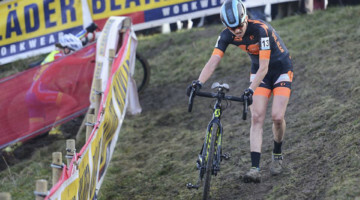 If you’re to take part in the 3 major series—World Cup, DVV/Ijsboerke, Superprestige—you’re locked into a seriously busy season of about 40 races. My thoughts are that this doesn’t lead to good form in January, just fatigue. I believe that’s why we’ve seen “roadies” with a cyclocross heritage able to jump into the sport later in the season and perform so well in December and January. When you’ve raced both days on a weekend, every week, you have very few days to train after recovering from such frequent intense efforts. But the need to race, represent and earn all lead to extremely difficult decisions to make right when contract offers for races are starting to flow. Living down in southern France I don’t really miss many, okay any, days of training due to bad weather. I’m obsessive about my indoor trainer warm up before a race, ensuring every detail is in place for each race, including the warm-up music, but riding on an indoor trainer while looking out at the rain outside is not on my to-do list. I love being outside; it’s one of the big reasons I moved here. Yes, I know I want a horrid winter, but I demand a beautiful summer. I’m needy, what can I say? My preparations for the season start with long hours of base training, followed by a lot of strength and power work as I continue my quest for some guns to show when the sun’s out. Then, when the time is right, a bunch of top-end training and motor-paced sessions, and then it’s off to Belg to test the form in a few road races. You can read about some of this road racing in the first of my WW diaries. 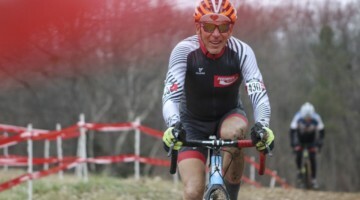 Lately, the schedule has moved to final cyclocross preparations that include some low-level cyclocross races or high-intensity group ’cross sessions with race simulation; you know, the stuff you see on everyone’s social media right now. If you are wondering about off-the-bike work, I do all of my running training as part of my cyclocross sessions. I do some mountain biking on especially hot days when I like to have fun and discover the undiscovered, and I have my ’cross bikes built and ready to go 12 months a year. Oh, and don’t forget your 10-minute core session every day. So that’s it, that’s how I prepare, simple. I mean, yeah, I have a coach (husband), nutritionist, sports psychologist and physiologist, but let’s not get into details. Now that you’ve got the secrets for competing in World Cup races, there are no excuses and you’ve got just under two weeks to get it all in place. I’ll leave you now so as not to take up more of your preparation time. 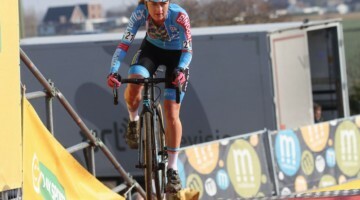 Miss any of Helen’s diaries here at Cyclocross Magazine? You can catch up on the sponge, the rain dance and everything else you missed.